Weissburgunder as a grape sounds exotic, but it is German version of Pinot Blanc. Pinot Blanc has also been confused with Chardonnay, because wineries often vinify it in a similar style using barrel fermentation, new oak and malolactic fermentation. 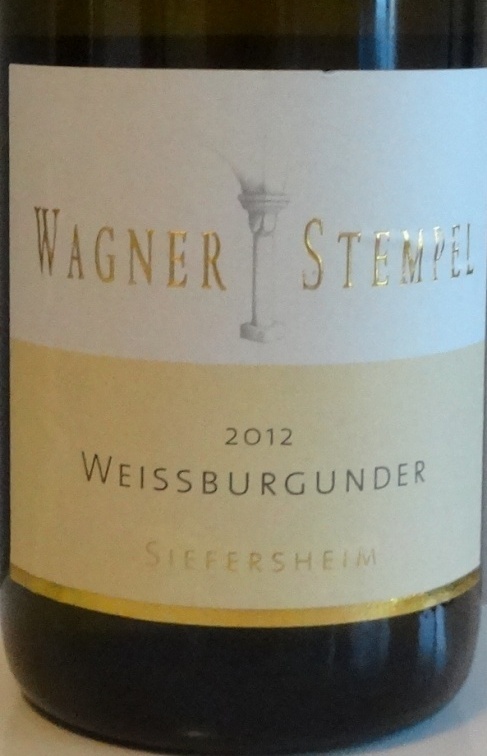 Wagner Stempel Siefersheimer Weissburgunder 2012 comes from Weingut Wagner-Stempel in Siefersheim, Rheinhessen. The foundation for the Wagner estate was laid in 1845. Nowadays wineyards concentrate on the classical grape varieties such as Silvaner, Pinot Blanc (Weissburgunder) and more especially Riesling, and converted to organic production methods. Some fruits, mainly citrus. Actually takes some time to get out of scents. Like yellow plum with touch of green shade. You can actually notice Chardonnay type of features like oak and barrel fermentation. However, the taste has more acidity than chardonnay grape has. Dry, some minerals and herbs but as friends of more full-bodied wines, this feels a little bit lackluster. Pinot Blanc as a grape is challenging and it requires mildly spiced food to accompany. 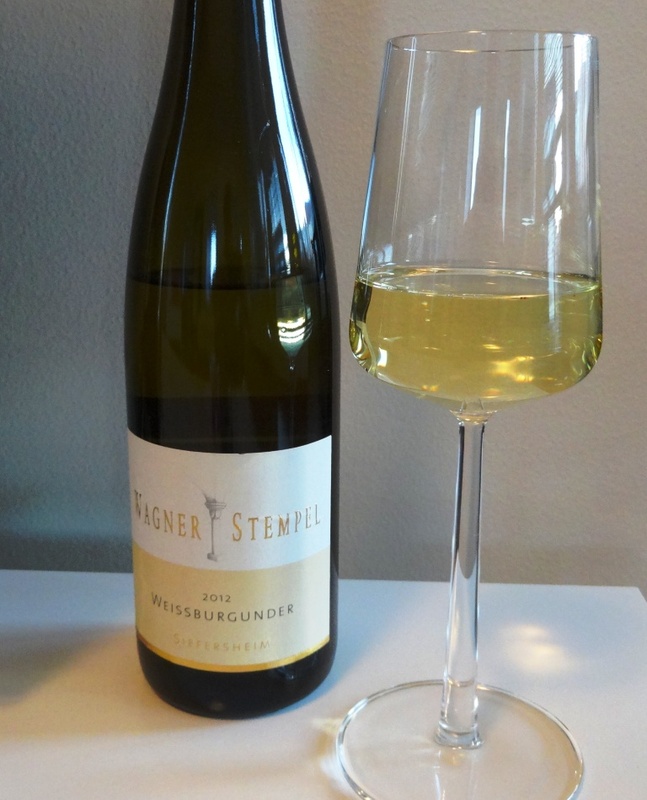 Wagner Stempel Siefersheimer Weissburgunder 2012 is in a way elegant wine but if you look for more strong sensory experiences you should choose grape which is more versatile. This pinot blanc is perfect with white meated fishes, chicken and salads which do not have too much spices. Relatively high price is propably due to organic wineyards which Wagner- Stempel have. Sustainable wine production might be benefit some day.